Easy Shortbread Cookies Recipe is delicious and easy to make dessert, snack and traditional Christmas treat. Classic shortbread cookies recipe uses only three ingredients: salted butter, powdered sugar and flour. If you add a hint of vanilla extract, you’ll have the best shortbread cookies ever. 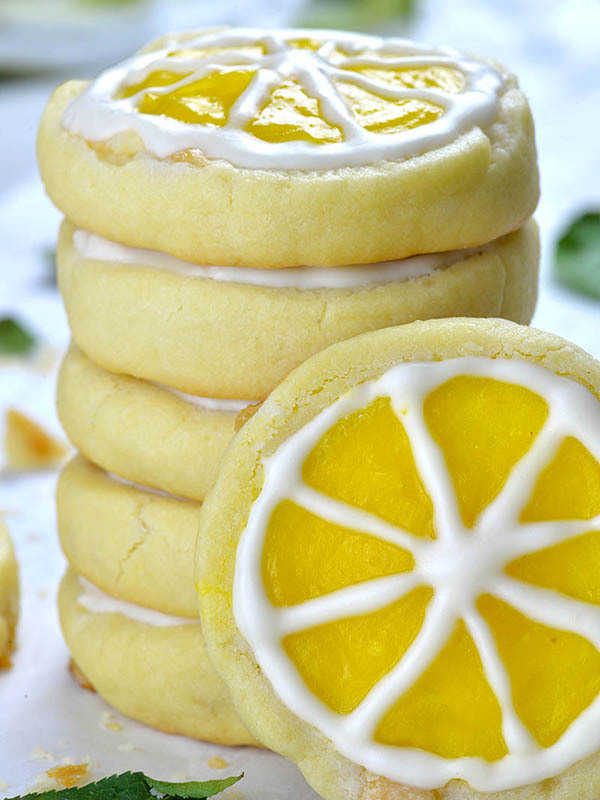 Shortbread cookies are classic. They are Christmas staple. 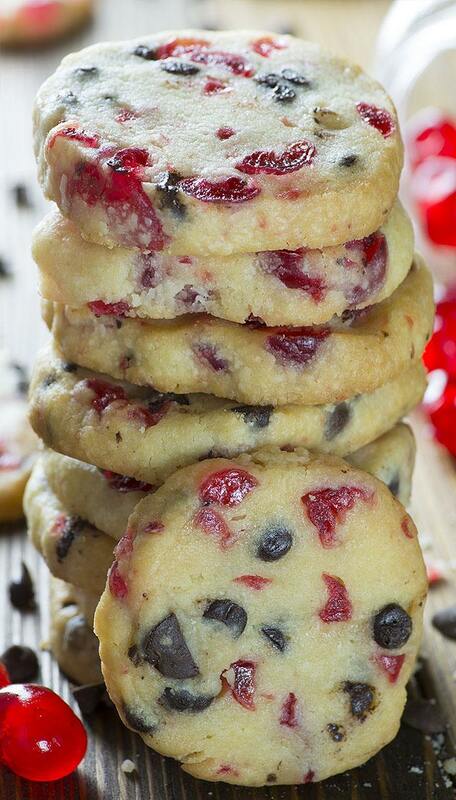 My favorite Christmas shortbread cookies are Christmas Maraschino Cherry Shortbread Cookies. For Halloween, I dressed them into Halloween Monsters Shortbread Cookies. Besides holiday tradition, these simple and easy cookies are family favorite treat all year round. However, they are so simple and easy to make so I often bake them. They are perfect snack for kids with a mug of warm cocoa, delicious treat alongside a cup of coffee or tea when I hang around with my friends and they make great gifts for the neighbors! 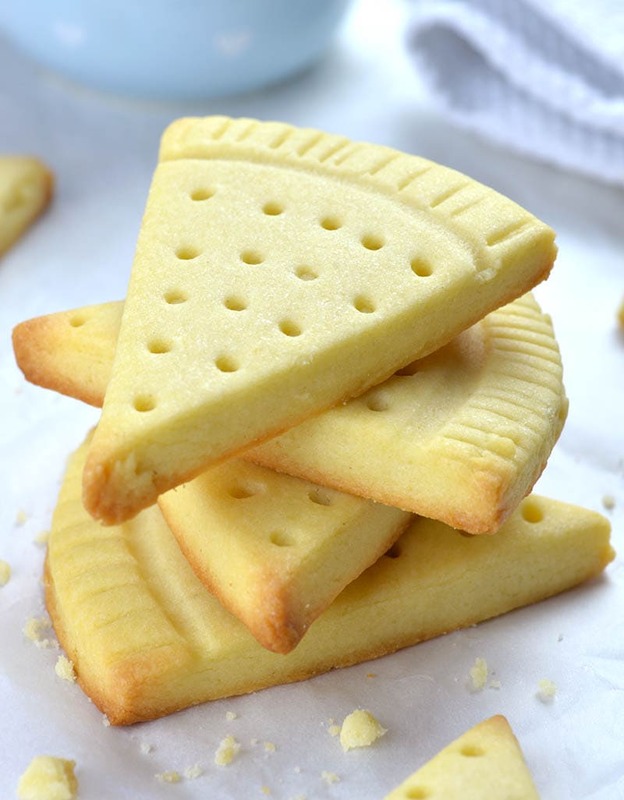 What are the ingredients for shortbread cookies? How do you make shortbread cookies? 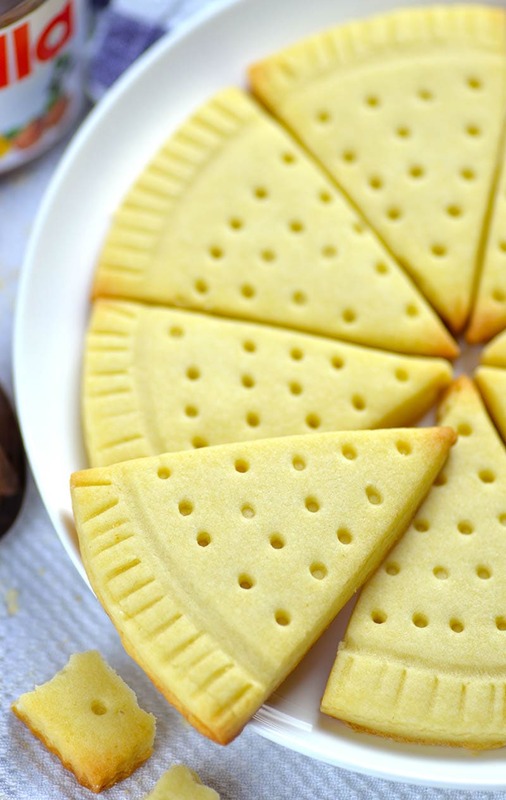 Classic shortbread cookies recipe is super simple and easy to make. 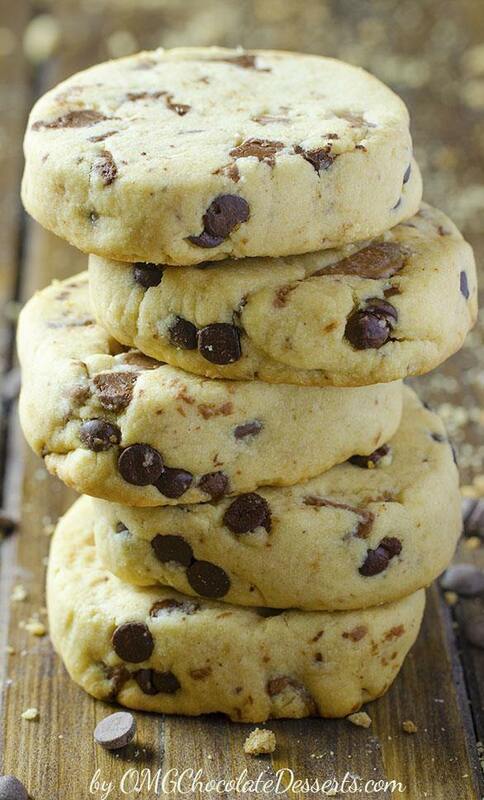 Beat 1 cup of softened unsalted butter with ¾ cup of powdered sugar and 1 teaspoon of vanilla extract just to combine. Gradually add flour and mix until everything is incorporate. The mixture will look crumbly or sandy at this point, so you should knead it just a few times with your hands, to come together. Although, you can roll out the batter immediately, but I prefer to chill it I the fridge for about 45-60 minutes. Then roll out the dough and cut desired shapes. When ready to bake the cookies, preheat the oven to 325 F and line baking sheets with parchment paper. Then, roll the dough 1/3- 1/2 inch thick and cut in desired shapes. Using a pizza cuter or sharp knife cut rectangles. But, if you want to make triangles like “pizza cuts” you’ll need 2 bowl. I used 7.5-inch bowl to cut out large circle. Next, use smaller (6-inch) bowl and lightly press onto circle to make the rim. Use knife to make dents over the rim. With a wooden skewer make dots. Finally, arrange the cookies onto baking sheet leaving at least 1-inch space between and bake at 325 F until the edges are lightly golden brown (18-20 minutes). 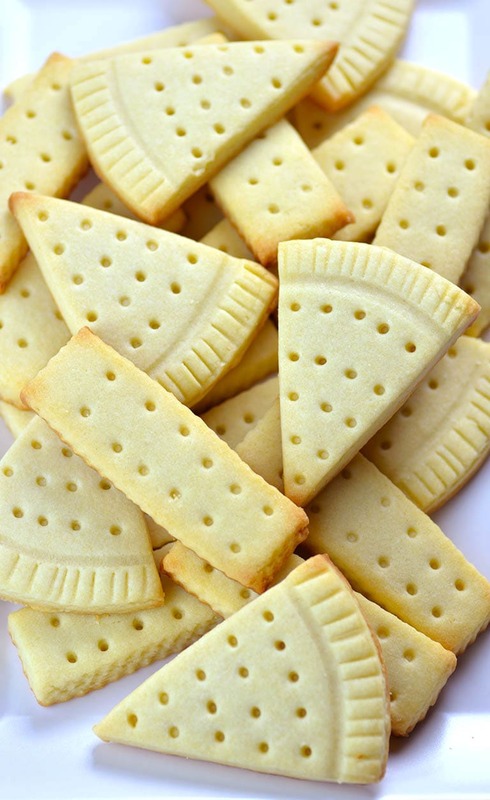 Shortbread cookies are baked at a low temperature (325 F) to avoid browning. When cooked, they are nearly white, or a light golden brown. They may be crumbly right after baking but they will become firmer after cooling. How many recipes I try, from time to time, I go back to the beautiful Peanut Butter Chocolate Chip Shortbread Cookies. Mix softened butter, powdered sugar and vanilla, just to combine. Gradually add flour and mix to combine. Do not mix too much. The mixture will look crumbly. Knead it just a few times with your hands to come together. Form a disk, wrap with plastic wrap and chill 45-60 minutes. When ready to bake, preheat the oven to 325 F and line baking sheets with parchment paper. Roll the dough 1/3 -1/2 inch thick and cut in desired shapes. You can use pizza cuter or sharp knife and cut into rectangles. If you want to make “pizza cuts” use 2 bowl. I used 7.5-inch bowl to cut out large circle. Then use smaller (6-inch) bowl and lightly press onto circle to make the rim. Use knife to make dents over the rim. Using a wooden skewer make dots. Arrange the cookies onto baking sheet leaving at least 1-inch space between. Bake at 325 F until the edges are lightly golden brown (18-20 minutes). I like to place cookies in the freezer 5 minutes before baking to help them keep the shape during baking, but you can skip this step. If you chill the cookies in the freezer before baking bake time will be about 22-25 minutes. In the ingredients it lists salted butter as an ingredient. The directions call for unsalted. I’m assuming unsalted is correct? 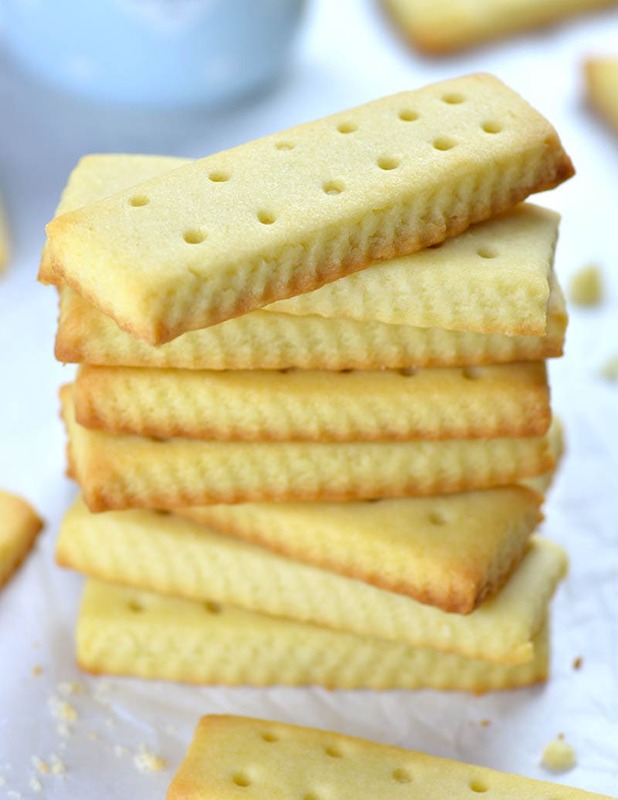 The original shortbread recipe posted is the same as my Irish great grandmother’s recipe. It has been in our family for years. It’s nice to see classics and how to adjust them with new flavors. I too, make a lemon and other varieties that never disappoint. Hello! I always see these cookies in movies or part of other recipes and i really wanted to try this one! I was wondering if you could tell me what the measure of a cup is exactly. In Portugal we use grams and milligrams and so. Hi Carlota, 1 cup is 240 ml volume. Hi Geraldine, it’s the same.All-purpose flour is plain flour. How do you make the designs in the photos? Hi by Powdered sugar do you mean icing sugar or just sugar, powdered? Thank you. Hi Aishwarya, it’s icing sugar. Hi Cin, use mixer.Happy baking! Can I have the ingredient in gram? They came out great, I loved them. I just did it and are the best shortbread cookies ever!! Thank you so much for sharing!! I was excited at first to try out this recipe with a friend, but was disappointed with the results. We followed the recipe exactly, even chilling the dough, but it was still extremely crumbly when we tried to roll it out, to the point where we couldn’t use most of the dough, as it wouldn’t stay together. But, it did taste good, so I can’t shame it too much. I can say, though, that I won’t be using the recipe again, which saddens me.